As you can see I have added numbers to make it easier to identify. The latest list of pupils are below which can be updated. 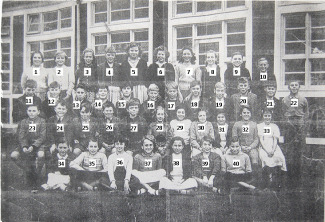 I thought this might stimulate some more interest and help to find the missing names. Thanks Andy. I have added the additional names. 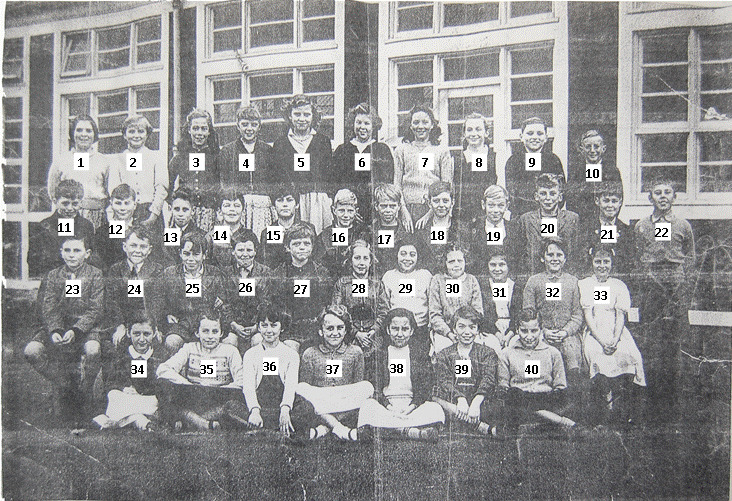 I have been trying to compare the picture with the St Chads pictures to see who is missing. I have had someone else look at the picture and they have suggested that No. 30 is Ann Shepherd and No. 32 is Carol Cox. Number 1 Shirley Rogers, number 32 Annie Shepherd. Thanks Andy, I have now updated the names. No 7 Sandra Gibbons, No 18 Barry Brook. Thanks Carol. I have now added your name.